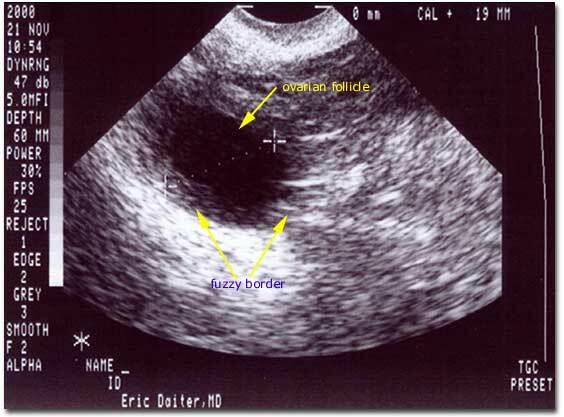 Photograph of a transvaginal ultrasound revealing an ovary on cycle day 13 (pre-ovulation phase). The dominant follicle is 19mm in diameter (usually follicles are about 18-30mm in diameter at the time of ovulation). The interface between the follicular (antral) fluid and the surrounding granulosa cells often becomes “fuzzy” just prior to ovulation.